For all the power you might imagine of various tools, sometimes it’s combining simple devices that yields the greatest results. Our friend Chris Stack is no stranger to deep synths and powerful modulars. 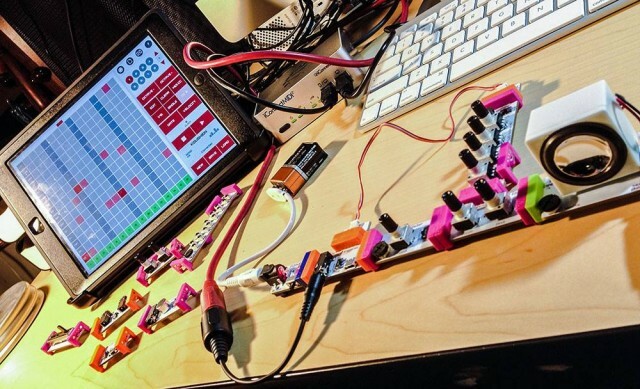 But he’s been doing inspiring things with the littleBits line of snap-together modules made with KORG – particularly now that they’re paired with modules for MIDI and CV. You might have seen some of these videos on (cough) other sites, while I was getting behind in my workload, but Chris has kept making more in the interim. He writes: “I was able to hook LittleBits into my DSI Pro 2, Moog Voyager, Ableton and Koushion in some really interesting ways, and the results were surprisingly musical, especially in the Koushion + Ableton video. 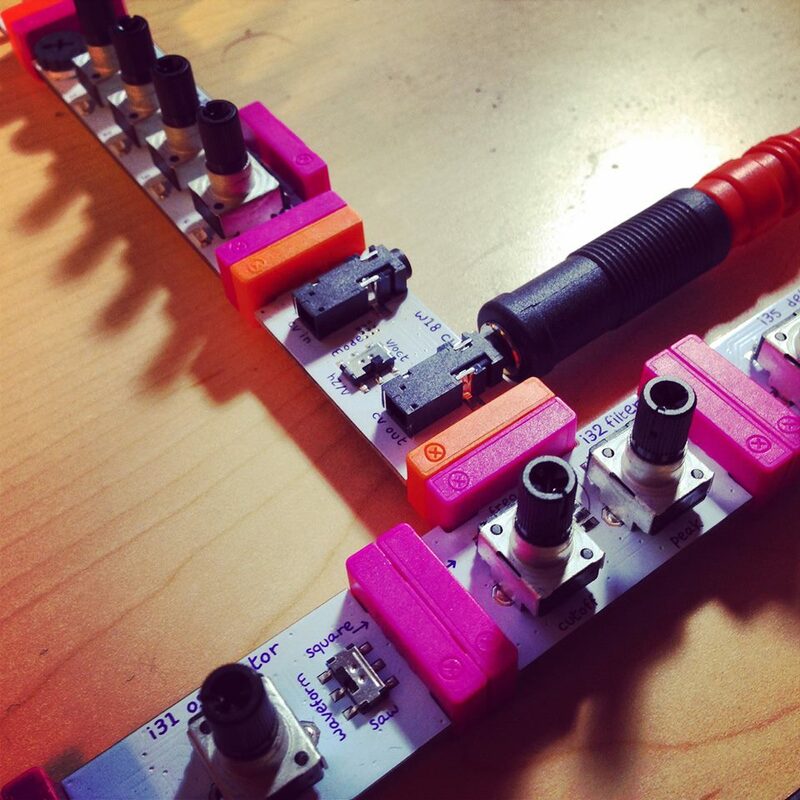 Connecting LittleBits to the larger world of audio gear generated some surprisingly musical results. With an external sequencer like Koushion driving it, you have both hands free for knobs and switches. With some creative patching and a little extra gear, it was easy to make a highly synchronized music production environment. 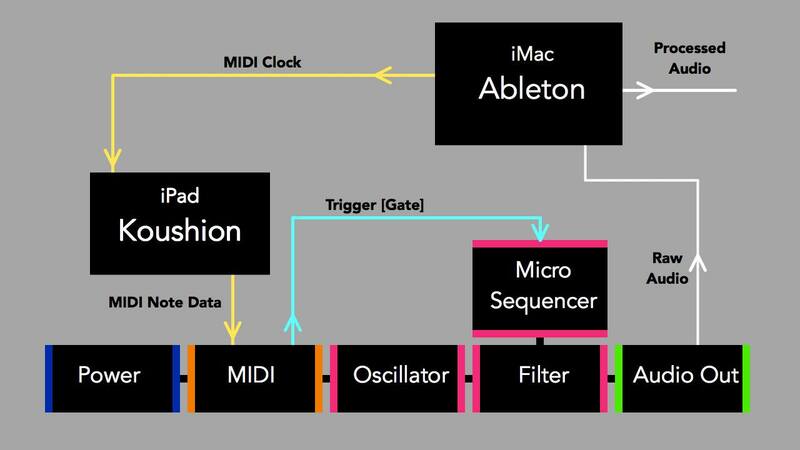 Ableton provided the master MIDI clock for the Koushion step sequencer app (connected to the iMac by an iConnectMIDI2+). This gave a quick interactive composition user interface, and the trigger from the LittleBits MIDI Module was used to clock the Micro Sequencer Module controlling the Filter Module’s cutoff frequency. The LittleBits system is the only audio source in this video. Its audio output was run into Ableton for effects processing. Since Ableton’s tempo-based effects were synced to the same clock as Koushion and the LittleBits Micro Sequencer, complex, yet cohesive sounds are easy to create, and sound great. The LittleBits CV Module’s Control Voltage input and output allows LittleBits systems to modulate and be modulated by a world of electronic music equipment. Everything from large modular synthesizers to new small analog synths, even some effects pedals are fair game. In these examples a Dave Smith Instruments Pro 2 is used. The Pro 2 is a Control Voltage powerhouse, with four assignable CV ins and outs (8 total) making it the perfect test rig to push the LittleBits farther into modular synth territory. 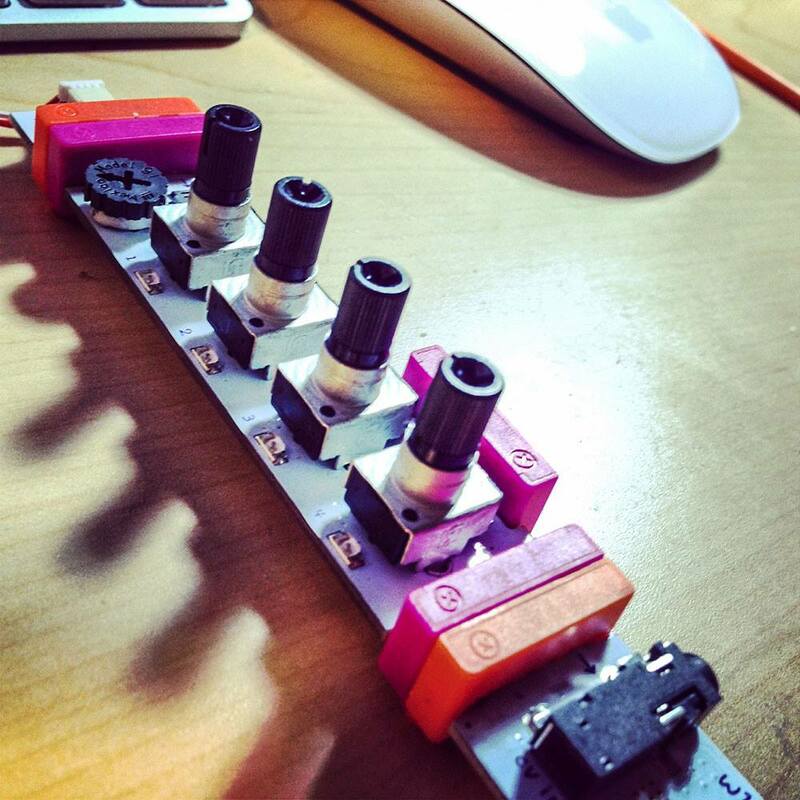 Combine a LittleBits Micro Sequencer, CV and Power module and you have a fun, low cost CV Step Sequencer. It can be used with LittleBits equipment, or can enhance other CV synth systems. Here are a few examples of the possibilities when used with a Moog voyager and CP-251 Control Voltage Processor. Exploring the Control Voltage techniques possible when combining a littleBits Synth Kit with an Arturia MicroBrute. The MicroBrute has a large number of CV connection points for a small, low cost synth. littleBits Synth Kit’s new CV module enables the creation of very flexible synths and CV controllers; a great combination. In addition to a simple littleBits CV step sequencer, other creations include a dual output CV controller with synced step and S&H LFO outputs; a simple noise source; and a complete subtractive synthesizer whose filter is step-sequenced by the MicroBrute’s Pitch CV output. A quick iPhone video of a very easy and powerful Control Voltage Step Sequencer made with the Koushion app and the new littleBits MIDI and CV modules. Here it is sequencing the Filter Cutoff on an Arturia MicroBrute. I’m running the MicroBrute into Ableton, which is also providing the clock to Koushion. This lets me add some great synchronized effects. littleBits Human Synth from Liza Stark on Vimeo.